Home > Blog > Q&A with Angela Slatter. 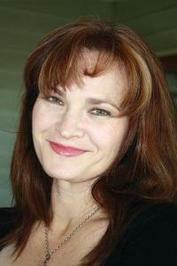 Angela Slatter is the award winning author of speculative fiction novels Vigil and Corpselight. She is also particularly adept with the short story. Her collections, The Bitterwood Bible and Sourdough and Other Stories have both received critical acclaim, with Sourdough being a finalist for a World Fantasy Award in 2011, and Bitterwood being a co-winner of this award for Best Collection in 2015. Slatter is also the recipient of an Aurealis Award for her collection, The Girl with No Hands and other tales. Her short stories are reminicient of fairytales, and by this I mean all the best parts; the adventure, the tangible worlds, brilliantly wicked characters and of course, the darkness. If you haven’t yet read her work, I encourage you to do so. You won’t be disappointed! Arianne was lucky enough to interview Slatter about her writing process and upcoming books. Do you have a favourite story out of your Bitterwood and Sourdough collections? In Sourdough, A Porcelain Soul, Sister, Sister, Lost Things and Under the Mountain all have a special place for me. And I love this collection because it was the start of everything, making my own world. In Bitterwood I really love The Coffin-Maker’s Daughter because I love Hepsibah Ballantyne. Then again, I also love St Dymphna’s School for Poisoned Girls, and The Badger Bride, but the one that makes me cry is Terrible As An Army With Banners as it’s basically a letter to my sister (I can never read it out because I’ll end up bawling). But I also love both collections, I love the mosaic nature of them and how they fit together and the places where they diverge. I’m currently finishing the third book in the cycle, The Tallow-Wife and Other Tales, which has roughly the same mosaic structure but is also creeping closer, I think, to a novel. And I’m working on finishing two novels set in the Sourdough universe, Blackwater and The Briar Book of the Dead. I just love playing in that world! Do you always know how you want your stories to end, or does it come to you gradually during the writing process? Sometimes yes and sometimes no. It took me four years to finish Gallowberries as I had no idea what was going to happen. On the other hand, Sourdough and Dibblespin and The Coffin-Maker’s Daughter were fully formed in my head. Sometimes I know the ending, but not the beginning, so I’ll write the ending and then work backwards. Sometimes it’s just a matter of writing − my mentee has observed a couple of times that once he’s writing the plot takes care of itself, and I think he’s right. I feel that as long as your plot is tied to your main character and their desire, you can navigate the story with not necessarily ease, but a decent instinct. You just need to know your characters really well. As I said above, Blackwater and The Briar Book of the Dead, The Tallow-Wife and Other Tales, and Darker Angels, which is a novella as part of the Midnight Movie Monographs series from Electric Dreamhouse Press in the UK. It’s inspired by the Hammer Horror Carmilla films, and there’s a critical essay to go with the creative portion. And I’ve got two short stories I owe people, one to do with death and its strange happenstances, and the other a twisted fairy tale. What is your typical daily writing routine? The alarm goes off at 7 and I hit snooze several times! Then breakfast and coffee and a swim, before I get dressed and go through emails for half an hour. Then I look at the task list and check which deadlines are fastest approaching; I prioritise for the day and the rest of the week, but reassess every day depending on what gets finished or hasn’t quite made it. Most Wednesdays I have write club with Peter M. Ball. Kathleen Jennings has also started joining us. Where do you find inpsiration for your stories? Fairy tales, childhood memories, dreams and nightmares, history, other writers, the news … everywhere! The stories I was told by my parents and grandparents, and the tales other people tell. For example, my friend Angie Rega told me about a bit of Sicilian magic for if you’re not sleeping. Take two glasses of water to bed with you, drink one and place the other under your bed, where it will draw out all the bad dreams. I took that idea and wrote By My Voice I Shall Be Known in which the glass of water under the bed changes colour because of the bad dreams being caught there and it can be used for witchcraft. Part of my novel Vigil came about because in the George Street bus station in Brisbane one of the old culverts has been preserved behind plexiglass. It’s a tunnel, but you can only see so far in, then it’s darkness. For me, that’s where the story lives, in the dark places. What do you think are the most important elements to creating a good short story? Character, I think, is the best foundation. If you know who they are, what they want, and what terrible or wonderful things they’ll do to get it, then you’ve got a really good map for your plot. Then dialogue, then setting, I guess. But really all the elements are important, and the most critical thing is that the story makes sense within its story world, that it’s convincing to the reader. You can’t afford to lose the reader because your story world has cracks in it. Also critical for a good novel! What techniques do you use, as a writer, to steer a reader’s expectations? Aw, that’s telling! As I’ve said earlier, character is really important to me. A character doesn’t have to be likeable but they do need to be relatable. The reader needs to be able to empathise with them, even if they’re doing awful things … so you need to convince the reader they want to follow this character’s journey. So, I guess I’m always trying to conjure a sense of familiarity for the reader, always trying to convince them that they might make the same choice as this character, and even if they wouldn’t they would still follow the character because they want to know what happens. What are your thoughts on the balance of showing and telling? I think that like a lot of advice the “show don’t tell” thing has shifted from good general advice to a rule that shouldn’t necessarily be a rule. Like “no prologues!” You can’t always “show,” sometimes you just need to tell the reader to make a point you feel needs to be clear. That said, showing is great, it’s what you should aim for, but again, the advice shouldn’t be proscriptive. That’s just my opinion! As with anything: don’t overdo it. Moderation in all things. Just because a technique has been overused, doesn’t mean you’re not allowed to use it: it means you need to be judicious about how and when you deploy it, and you should do something different and effective with it. I read on your website that you offer mentoring and editing for other writers. How many people, on average, do you mentor a year? I have a full-time mentee (have had for the last year and a half), and then I have clients who get me to edit and develop (flense) their short stories. Some are return clients, some just come to me for a one-off consult. I work on short stories and novels. I think I average about 40-50 clients per year? Basically what I try to do with any edit and report is give a client a masterclass so they can apply it to their work going forward. Can you share some of your strategies for overcoming times when it feels like a story is going nowhere? People laugh, but I say “Make your character drop something” because it makes them have to look at their setting from a different angle. What’s under the bed/sofa/cupboard? Can they see someone’s shoes sticking out from behind the curtains? Can they see the murder weapon that’s been concealed under a sofa cushion? What looks different for them and how might that send the story off on a new angle? In general, I will put it aside and go and read other short stories to see how another writer has managed the movement of their plot. But honestly, if one of my stories isn’t working it’s because I don’t know what a character actually wants. I haven’t excavated their desire, or I haven’t excavated the desire of the antagonist − and I maintain you need to know why that character is obstructing the protagonist: what desire is driving them? Figure that out and you’ve got your opposing tensions, you get your stakes and your risk, and your escalating action. What do you think is the best advice for aspiring writers who feel they may never be published? Well, not everyone gets published. That’s the sad truth. But not everyone writes for publication: sometimes it’s for joy or therapy or as a hobby. Because it just makes them happy. But if you’re serious about getting published then do your apprenticeship. Learn the rules before you can break them. Know what you’re doing, don’t assume your work is better than anyone else’s. Be humble about what you do. Find a mentor who gets you and can help you improve. Network to build mutually beneficial relationships with other writers (here’s an article I wrote about that https://culturedvultures.com/top-5-networking-tips-for-writers/). Go to conventions and writers festivals, meet readers and writers, listen to them. Learn how to submit your work, learn which journal/publisher/agent is looking for what sort of work. Read widely, write a lot, learn how to critique in a constructive fashion. That doesn’t mean just say “Oh, everything’s awesome!” it means be able to articulate what does and doesn’t work. Don’t be rude about it, be helpful and clear but honest. Recognise your own biases as a reader and writer, so that when you critique something you can look beyond whether you like the genre or form or not, and analyse what works and what doesn’t. That’s the point of a good critique. Above all, be an informed writer. Read submission guidelines and obey them. Know what rights are being purchased or licence. Never pay an agent or a publisher a reading fee. Read and understand your contract, and if you have questions, ask them. Get professional advice before you sign a contract. I think those are the highlights! The Tasmanian Writer’s Centre thanks Angela for taking the time to speak with us.